Despite only being on the market for just under two years, the Nintendo Switch has already produced some must-have titles. Even top games originally brought to life on Wii U have been given a glorious second chance on Switch and, for the most part, they've taken that chance with open arms and impressive sales. But just how popular are the Switch's biggest games? Earlier today, we shared an updated list of the console's top ten best-selling games. 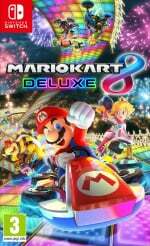 Mario Kart 8 Deluxe comfortably leads the way with an impressive 15.02 million sales, and the latest financial information provided by Nintendo has revealed that the console has now shifted a grand total of 32.27 million units. With all of this data, it's now possible to track attach rates for these top games, and that's exactly what Niko Partners analyst, Daniel Ahmad, has done below. In this graphic, we can see the Switch's six best-selling titles alongside percentages which show how many copies have been purchased in relation to the total number of Switch hardware sales. This should give us a rough look at each game's attach rate (apart from any occurrences where collectors may own more than one copy, for example). The figures are pretty impressive all round, but Mario Kart 8 Deluxe is surprisingly close to reaching 50% of - or one-in-two - Switch owners. Many are quick to share their negative thoughts towards Nintendo's porting endeavours at the moment, but it's clear to see why so many Wii U games are coming to Switch - and it's clear that an awful lot of players want them, too. Are you surprised by Mario Kart 8 Deluxe's popularity? Do you own many of the games listed above? Tell us below. Well, as far as polished, balanced and fun racing games, I don't feel I have a lot of options on the Switch, to be honest. There are some decent offerings, but truly great ones? Well, there's Mario Kart 8 Deluxe and..... well.... hum.... let's see... nope. That's pretty much it. That is high, but at the same time, who the heck owns a Switch and doesn’t have Mario Kart 8? Mario Kart was always a system seller. This one is a port......I cannot imagine what will happen if a new Mario Kart comes to Switch. I mean it is arguably one of the best Mario Kart games ever made so makes sense near everyone would wanna play it. @LunarFlame17 wii u owners which did not want to double dip. Because already so much people already got MK8DX, I don't think Nintendo will release a sequel on the switch. I most certainly think it wouldn't sell much better. Of course I could be wrong. Switch owners: Ew we hate Wii U ports! Also Switch owners: Hey shut up...I didn't get this game...baka!! Lol, it's true. However, at the same time, I think what begins to happen is, as the install base grows, households start buying multiple Switches, then just pass around the game to each other. It's still a very high attach rate, especially for a port. Much lower than I expected. If you own a switch and even if you owned a Wii U and you haven’t picked Mario Kart up - your doing life wrong. Don’t @ me. It’s the truth. Epic game. What I'd like to know, is a percentage of Switch users that don't have any of those major titles. I have to imagine across all those Switch users that they have at least one of the major titles highlighted. I mean, this is why it's a silly argument when people say "why the ports?" Well, this is why. Cause they sell. @RupeeClock household with multiple Switches but only one copy of the games. I don't normally do double dipping but I did make an exception for this one. I'm part of that half. Good game. In that scenario, this would mean that a single game is counted more than once per Switch system. Although their metrics probably account for the unique header that each game card has, so they should know when a single game is being used on multiple Switch systems. I love the first bar in the infographic. Either it means everyone that has a Switch has a Switch! Who knew?! Or Everyone that has a Switch has some software, again wow. Send this to Patcher. He'll be able to put a negative spin on this 100% stat. On topic I'm yet to get MK8DX cos I still play MK8, however if they release some new DLC tracks then I'm in. I would have expected between 70-75% for MK8D. Not that many people out there had a Wii U in the first place, so we cannot put that on the fault of « don’t want to double-dip ». @tech7 Okay, but Nintendo sold 8 million copies of MK8 on Wii U, and there are 17 million Switches out there without an attached copy of MK8. Even if you assume that no one double dipped, that still leaves 9 million Switches out there owned by people who also didn’t own MK8 on Wii U. That seems like a lot to me. It’s a very good game. Mario Kart 8 DX is going to outsell Mario Kart 7 within the next 6 to 9 months. @MoonKnight7 That probably does account for a lot of it, yeah. There has to be some people out there, though, who bought a Switch, looked at MK8D, and were like, “nah”. Those are the people I’m interested in. How can you not like MK8? I don’t even like racing games, and I love MK8! I can now rest easier knowing that 100% of Nintendo Switch owners have a Nintendo Switch. Not surprised. It's the best Mario Kart game in the series, even better than the Wii U version thanks to additional content and the revamped Battle Mode. I don't have Mario Kart 8 Deluxe, because I played a lot of Mario Kart 8 on Wii U and am done with it for the moment. Smash Ultimate has taken too much of my interest to really want to touch MK8 any more anyway. @Marios-love-child Same. DLC didnt feel worth it on Wii U, and lo and behold, my waiting paid off. A whole new third of the game and portability to my friends house cemented its worth. Battle mode was definitely not a valuable addition on its own so Im happy I waited. If they haven't started working on MK9 yet they are doing it wrong. Not that it needs to be released anytime soon, but I'm assuming it takes 2 years to make MK, so spring 2021 would be good. Then they can port MK9D to Switch 2 in 2023. This will never beat BotW which had an attach rate of over 100% the first month. If i didn't already own it on Wii U and they priced it better and not kept it at full retail for a re-release then i would have gotten it to. Just can't justify a full price tag for something like that. I think this will be the last Mario kart. I want the next one to be called smash kart. Exactly my point. For me it depends on how different MK9 would be. But I think that a lot of people aren’t going to buy two MK games on the same console. If they release SMO2 or BOTW2 then that’s a different scenario. Haha, yeah I totally get it. I guess there's a few from the Wii U days that passed on it, but again, there's only so many of those people too. For me, I sold my Wii U copy and got it for Switch for less than 20 bucks. Very much worth it since I can play it anywhere. It plays so well on Switch, it's hard to pass up. @Realnoize FAST RMX? I know it's a niche genre, but that is a polished and well made racer. it's the only Wii U port that i have. everything else are new games on switch. Regarding the “why all the Wii U ports” debate, Tropical Freeze is on 2.08 million, Captain Toad 1.05 million and Pokken Tournament has reached 1.16 million by last March so is presumably higher. When ports are most of what you are releasing for a whole year on a console that is in only it's second year and doesn't get a ton of BIG 3rd party title support, yes the ports will sell. Goes like this if you port them they will come. But the caveat is remaster them and upgrade Graphics and that will help bring gamers onboard. So based on this, why not release switch sports? Then everyone will buy it and it will make a pool of money! MK8D is the one game I regret buying it on the Switch that I already own on the Wii U. Obviously others really enjoy it! What I find interesting about these numbers is that, according to an analyst estimation earlier this month, the global install base for the Xbox One is now around 41 million to date. The Switch, in less than two years, is just 8.73 million units from this figure which has taken years to achieve. Look, I’m happy that people are enjoying Mario Kart 8 Deluxe. It’s a great game on the Wii U and just as great on the Switch, I’m sure. The only reason I don’t have it is that I had it on the Wii U and got the DLC for it; on top of that, I have NEVER cared about Battle Mode. It just wasn’t worth it to me to double-dip. As for why the attach rate isn’t higher? There are people out there that don’t like Mario (believe it or not) or kart racers or racing games in general. That probably accounts for it. 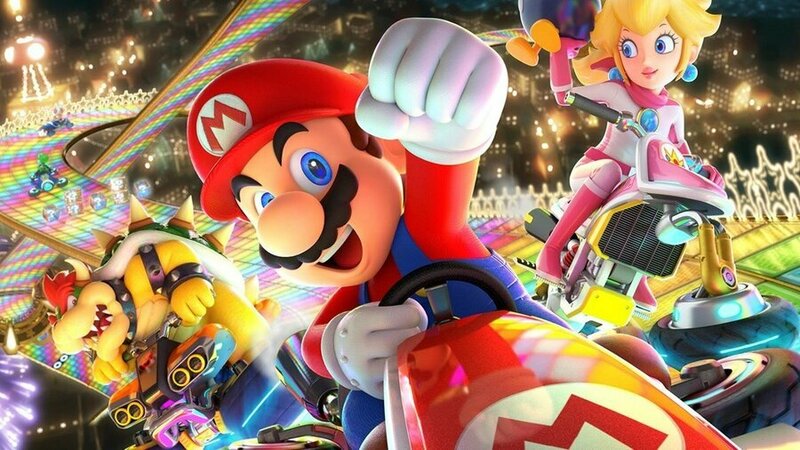 Mario Kart 8 DX shipped more copies in Q4 2018 (3.3+ million) than in Q4 2017 (2.9+ million). 30 million copies sold lifetime is not out of the question. Sorry I forgot about that one. But then, even if that's a great one, it is, like you mentionned, slightly niche. I'm talking more in terms of quality, truly great racing games with a more general appeal. Fast RMX could in theory fit the bill somewhat, but I don't see it as having the appeal of Mario Kart, or other franchises on other platforms, like Gran Turismo, Forza, or multiplatform ones like Need for Speed or Burnout. I really feel like the Switch is truly lacking in that category. There are many "me-too" kart racers and the likes, and some "merely ok" attempts at offering something like Gear Club, and some niche ones that may be cool, but I see nothing that can truly rival the franchises mentionned. Apart from Mario Kart 8 Deluxe. In a way. I had fun with Riptide GP renegade, but while fun, it's not stellar, and kind of shows its mobile game roots. I'm dying for a more serious racing game on the Switch. I've been playing Forza Horizon 4 lately, and THAT is a stellar racing game I can spend dozens of hours in. If not hundreds. Even if a similar game would have inferior graphics on the Switch, it's the gameplay that counts. THAT would be one game I would be paying full price day one of release, if similar in tone and gameplay. Another wii u owner who didn't double dip. Plays as awesome as on the Switch so no point. Also why don't have Bayonetta, Donkey Kong and Toad. And though I love the Switch, the GamePad is way more robust for man hands and accidentky sleeping on. @Realnoize I feel your pain so much. Me, personally? I am so tired of Mario Kart. It’s a fun series, sure, but the randomized element of the items makes it impossible for me to invest lots of hours into the games or view it as a ‘serious’ racer (by serious, I don’t necessarily mean racing sim). To me, racing is the Switch’s biggest genre hole. I’d love a new jetski or snowboarding (doesn’t have to be Wave Race or 1080) game, but I’m not holding my breath. Get even something like a Ridge Racer on the Switch and it’d be a great improvement. 32.25 million consoles is upto when? Which means 4 million between now and March 31st is this possible to reach yr2 goal? Never before has it been easier to share Nintendo's best looking and best playing games with friends and familiy. You no longer have to lure them to your home with false promises like "birthday parties" or "cake". You can readily take the games directly to them, wherever you meet, and have a blast. I really do think this helps to create this extraordinary attach rate for solid multiplayer offerings, and the high sales we are seeing for off-beat eShop titles with curiosity value. I might pick it up one day, but both my interest in racing games and my disposable income are too low to justify choosing it over games that appeal to me more. I'll be grabbing MK8D when I get a Switch because I promised I'd give the series a fair chance. I have spent some time with Super Mario Kart and....well.....I didn't dislike the game, but it could have been better. The racing genre in general just doesn't hold my attention for long. I figured a modern version that nearly everyone likes might finally persuade me. @Razzy One day maybe you'll understand Mario. He's a complex guy you know. This is as it should be. Actually, I’m surprised it’s not higher. I have Mario Kart 8 on WiiU and never really played it, so I didn't bother with the Switch version. @LunarFlame17 I don't but I played it too death on the Wii U.
I said I would not buy it as I had played it to death on the Wii U,but the extra resolution and improved battle mode made me double dip,it's also pretty good that you do not have to unlock anything..this is great for newbies and people that had already unlocked everything in the Wii U version. Well deserved as it is a fantastic game! Can't argue with Nintendo game making skills, best exclusives in the biz! Some games just make complete sense to port between systems since they'll always be in demand. Mario Kart 8 is one of them. Provided the Switch sales keep up I'd predict between Switch and WiiU Mario Kart 8 will probably end up equalling Mario Kart Wii's 37 million. This is the only Wii U port I have on Switch, unless you count BOTW. But that was more a dual-release. I do worry about this because it seems to encourage Nintendo to release a bunch of Wii U ports at $60. I could care less about Wii U ports if they were a lot cheaper and not treated like new titles. This really is not much of a surprise, mario kart sells really well on all nintendo platforms. The port of MK8 sold more units on Switch than could have even been possible had every single Wii U owner bought it on that system. I haven’t gotten all the Wii U ports, and I don’t think I will. MK8D, though, was a no-brainer for me. My friends and family have all played it. The convenience of the Switch itself made it a done deal. Of course, we haven’t played the game lately... because of Super Smash Bros. Ultimate. It might sell but it's obvious Wii U owners aren't gonna buy the same game. And seeing Nintendo releases their high profile games on a monthly basis, every month with a port is a lost month to them. "Nintendo has revealed that the console has now shifted a grand total of 32.27 units." I think that is supposed to say 32.27 million units 😂. Or the Switch would be the biggest flop to date. These are impressive figures. No other console manufacturer experiences such a high attach rate with their first party (or 3rd party) games. ""Nintendo has revealed that the console has now shifted a grand total of 32.27 units." I feel sorry for that one fellow who bought 27% of a Nintendo Switch. Yeah, anyone that wants to argue against Wii U ports on Switch have been proven wrong yet again. Simple answer, if they didnt port MK8, DK, HW, Cpt. Toad, Bayo 1&2 or NSMBU, they'd be leaving easy money on the table. Honestly, I would love to see Octopath Traveler in this list. @SwiftLemoon oh my god I love your profile picture!! WiiU ports are without a doubt great for Nintendo AND its consumers. First, how many people had a WiiU? Not a lot of people (13 million), and a lot of people (32 million) have the Switch. This means that around 20 million people DIDN'T play any WiiU games. This is exactly why MK8DX sold so well: it was a great game on a bad console, but now it's a good game on a GREAT console. Secondly, it's super convenient for Nintendo - they pretty much need to copy/paste and BAM. I have MK8D and SSBU as core titles.. My next up purchases will SMBUD and Yoshi's Crafted World. Maybe Switch Boxing or what ever it's called before those 2 titles. @Sandro89 It's not really obvious though. Plenty of folk have remastered or re-released versions of games on Xbox and PS4. I understand folk not double dipping. But I've picked up games on the other 2 consoles I've bought before. I've had Skyrim 3 times. Got it as a free download with a 360 I bought. Bought it on the Xbox one for my son's Xmas one year and then finally actually bought it for myself on the Switch. Diablo 3? Twice on 360, Twice on PS3(I consider Reaper of Souls just to be D3) Xbox One, PS4 and again on Switch. Though I've only done about 5 hours on Switch at this point. I'd love to see Burnout Paradise or Red Faction Guerilla find their way onto the Switch. @RemyLeBeau you start badly it carries on. The launch was well and truly botched. Glad the guy responsible stayed about to right his wrongs... oh that's right he buggered off to a mobile games company. But it's swings and roundabouts. PS3 launch was marred by arrogance and expensive hardware and they struggled to catch the 360 which was seen as main contender and both Microsoft and Sony just tried to pretend the Wii wasn't happening at the same time. You then get the WiiU wedged between the Wii and the Switch and you see brand loyalty wasn't what it used to be(Which is a good thing in my opinion) as consumers will hold off or drop a console to get what is the more successful console for whatever features suite them best. Still, I used to play a lot of Super Mario Land 1 and Wario Land 1, 2 and 3 on my gameboy colour back in the day, I even bought them again for the 3ds, though I couldn't get into them as much as in the past. Newer Mario games simply don't do anything for me. @westman98 that would mean he basically bout the dock only lol. @Orin41 Honestly, the improved battle mode didn't sell it for me. Heck, I still haven't even tried it yet. I double-dipped because they removed firehopping. I got the Wii U version on sale fo 20 bucks a few years back, so shelling out 60 for the same game on Switch isn’t something I was going to do. Steamworld Heist is the only Wii U title I’ve double dipped on. Im glad Mario Mart 8 deluxe is doing well on the Switch. But I refuse to buy mario kart 8 deluxe becuase i play the stuffing out of the wii u version. I cannot justify paying 60 dollars just because they fixed battle mode, added 5 characters, brought back double items and 3rd-level purple boost dash. No. Sorry not sorry. 64% of Switch owners haven't bought BotW? WTF are those people doing?!?!? @0muros ? I said nothing about money. But why should you buy the game if you played it more than enough on your wii u. Sure it is a great game, but many people would rather play something new. @DoctorWily Maybe it's because they prefer other franchises like Mario, Metroid, Yoshi, Kirby, Smash, Donkey Kong, etc? "It might sell but it's obvious Wii U owners aren't gonna buy the same game..."
How is it obvious? How do you explain the high attach rate?? Seems pretty clear many did just that. "...And seeing Nintendo releases their high profile games on a monthly basis, every month with a port is a lost month to them." What you mean by a "lost month"? @Realnoize Yeah, there really isn't a great sim, or even slightly realistic arcade racer. A new Excite Truck/Bots/Bike would round out the system well, but that doesn't seem to be in the works either. Grid Autosport is coming, but that may not be the best without analogue triggers. Maybe they will add GC controller support. As long as he only reads 1 out of every 1,000 of my posts. No, they need 5 million and it isn’t going to happen. They’ve revised the FY forecast down to 17 million.